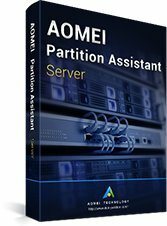 AOMEI Partition Assistant contains more than 30 valuable functions, which can fix the problem “low disk space”, address the problem of irrational disk partition, and re-partition a hard drive without losing data. In a word, it can manage your hard disks and partitions in the most reasonable state. Besides, it supports you to migrate OS to SSD, copy hard drive to another HDD/SSD, convert disk between MBR and GPT, etc. Multiple Partition Manager: Resize/MoveCreate/Delete/Format/Split/Align/Merge partitions, etc. Multiple Partition Wizard: Extend Partition Wizard, Disk Copy Wizard, Partition Copy Wizard, Partition Recovery Wizard, Make Bootable CD Wizard, etc. Other Features: Migrate OS to SSD or HDD, Wipe Hard Drive, Rebuild MBR, Windows to Go Creator, Integrate to Recovery Environment, etc. An all-in-one and easy-to-use disk partition manager to help users to manage hard drive and partition. It supports Windows PC operating systems, including Windows XP/Vista/7/8/8.1/10 (both 32 and 64 bit). A magical and Free software contains a variety of partition management functions and allows you to manage your partitions and hard drives of PC. You can use it to resize, merge, create, delete or format partitions. A professional and paid version covers more features. Compared with AOMEI Partition Assistant Standard Edition, the professional edition has more advanced functions, such as allocate free space from one partition to another, convert disk between dynamic and basic, etc. A great partition manager For Windows Server users and Windows PC users. It supports all Windows PC operating systems, and all Windowsw Server operating systems, including Windows Server 2000, 2003, 2008, 2012, 2016, 2019 (both 32 and 64 bit). A free and easy partition manager that offers Windows Server and PC users to cope with basic problems about hard drives and partitions. It allows you to partition hard dirve on Windows Server operating systems. An advanced edition for Windows Server users. It is a reliable partition software that helps you to optimize the performance of your servers. 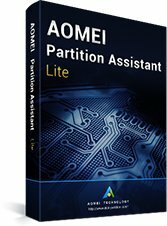 It contains all features of AOMEI Partition Assistant that can easily solve hard disk partition problems of small and medium sized business. Advanced and reliable partition software that designed for enterprise to manage hard drives and partitions. Supports both Windows PC and Server operating systems. All features and functions are configured in AOMEI Partition Assistant Unlimited Edition, and it can be installed in Unlimited PCs and Servers within one company. The most advanced edition includes Lifetime free upgrades. The buyer can use this software to provide profitable technical service to unlimited PCs and servers of unlimited companies and individuals. 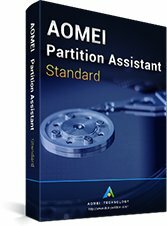 Every edition has its own features, if you want to know the detailed difference on every version, you can visit edition comparison of AOMEI Partition Assistant.